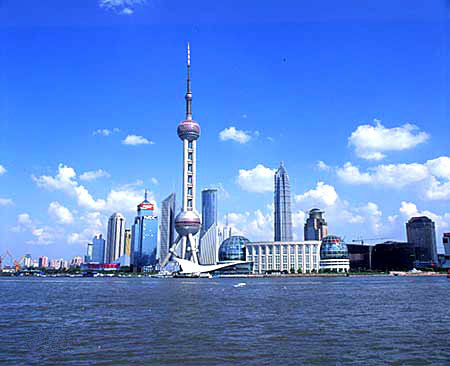 Shanghai is Chinas biggest city, largest port and one of the worlds vital financial centers. It was also one of the first ports opened to foreign trade. Rising from a fishing village, Shanghai is one of the four municipalities directly under the central government. Aside from Pudong New District, Shanghai has jurisdiction over 13 districts and six suburban counties. The total area of Shanghai is 6340 square kilometers. Shanghai sits in a sub-tropical monsoon climate, with moderate temperatures and humidity and adequate sunshine. Rainfall is abundant and the seasons are distinct. The average temperature of Shanghai is 15.4 degrees Celsius, with the high averaging 27.4 degrees in July-August and the low 3-5 degrees below zero in January. Shanghai is a city with a long history. In the long-term development, it has formed its own unique city scene and varied cultures and arts. Up to now, a lot of cultural relics beginning in the Tang (618-917) and Song (960-1279) Dynasties, many museums and contemporary memorial halls are well preserved. There are a lot of tourist centers in urban districts and suburbs of Shanghai, which form many tourist areas, tourist lines and special-interest tourist items. 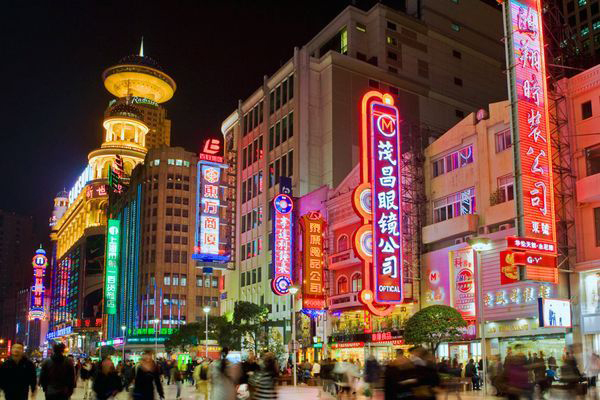 With a distance of five kilometers, the Nanjing Road is the most famous business street in Shanghai. The Oriental Pearl TV Tower, completed in 1994 and standing 468 meters, is the tallest TV tower in Asia and the third tallest in the world. Yu Garden is located at the heart of Old Town, a few blocks southwest of the Bund in downtown Shanghai. It is one of Chinas loveliest private classical gardens. 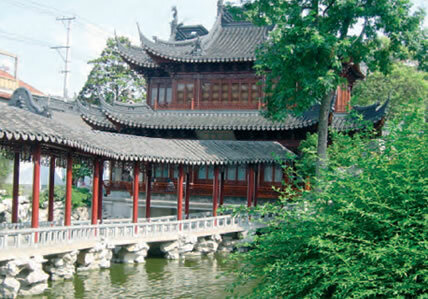 Its name means Garden of Contentment, and it is indeed a pastoral world apart from modern and hectic Shanghai. As the Pan family declined, the garden was gradually abandoned and overgrows until the local gentry restored it in 1760. It became the headquarters of the Small-Sword (Dagger) Society Uprising against foreign imperialists in Shanghai, Xiamen and other parts of China in 1853. During the early time of Taiping Heavenly Kingdom Revolution (1851-1864), it was damaged badly. Part of the garden became the bazaar and local guildhalls, but over 20,000 square meters remain of tall rockeries, halls, ponds and pavilions linked by zigzag corridors. The Bund (which means the Embankment) refers to Shanghais famous waterfront running along the west shore of the 114-kilometer Huangpu River (a tributary of Yangtze River), forming the eastern boundary of old downtown Shanghai. Today it consists of a marvelous promenade, stretching from Suzhou Creek in the north to Jinling Lu in the south, the perfect platform for strolling along the busy river. Just across the wide avenue (Zhongshan Dong Yi Lu) that parallels the promenade is Shanghais signature cityscape, a long wall of colonial-era European buildings erected by foreign governments, trading houses, and expatriate millionaires mostly during the prosperous and notorious 1920s and 1930s. On the other side of the river, casting the shadow of Shanghais future over its colonial past, are the modern towers of the citys remarkable economic boom: the skyscrapers of the Pudong New Area that include some of Asias and the worlds tallest structures, the high-tech pagodas of the 21st century. Across the Waibaidu Bridge is the Shanghai Broadway Mansions. On the 22nd Floor of the Mansions, you will find yourself above the tree line, and unfurling below you, a marvelous view of the bustling city of Shanghai with a sea of buildings in all their majesty. The architecture, along the Bund is unanimously honored as a World Architecture Fair. 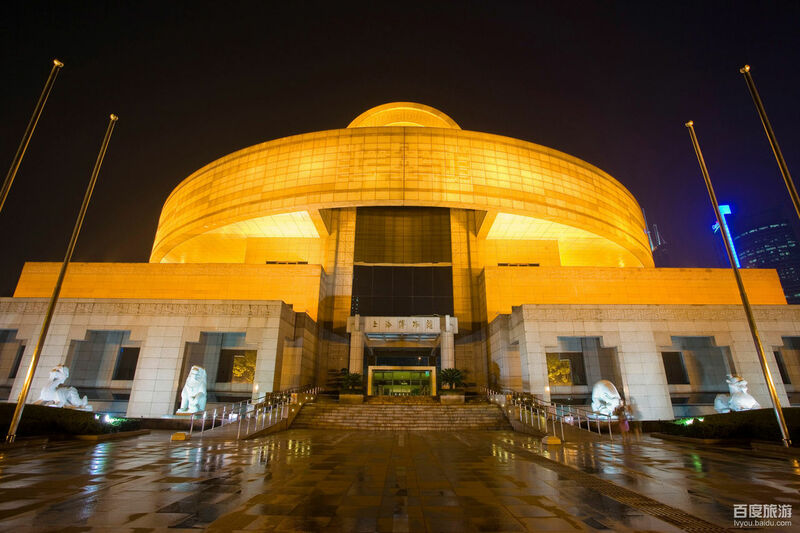 First established in 1952 and relocated in 1996, the Shanghai Museum has a collection of more than 120,000 rare cultural pieces including bronze artifacts, ceramics, calligraphy, paintings, lacquer wares, oracle bone inscriptions and coins. The museum is especially famous for its collection of bronze pieces. The 1,200-square-meter showroom has housed more than 400 beautifully decorated bronze artifacts, which reflect the development of the Chinese society from the 18th century BC to the 3rd century BC. With its dark green color, the showroom conveys an artistic atmosphere of history and culture. The ancient statue showroom has over 120 statues on display, including the simple and colored wood statues from the Warring States period (475-221 BC), Buddha statues from the Northern Wei Dynasty (386-543) and the pottery figures (including horses and soldiers) of the Tang Dynasty (618-907). Visitors can also get a clear picture of what the ancient seals looked like in the past in the Seal Showroom. The room consists of four parts, has over 500 seals on display, which date from the Western Zhou Dynasty (1046-256 BC). Entering the showroom of furniture of the Ming (1368-1644) and Qing (1644-1911) dynasties the visitor almost feels he/she is in a Chinese-style garden and mansion. In a 700-square-meter showroom, more than 100 pieces of furniture are on show. In the Coin Gallery, the visitor can find nearly 7,000 coins made from a variety of metals including bronze, gold, iron and copper, which chart the development of coinage in China. 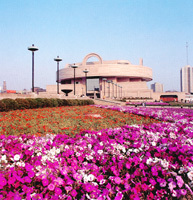 The museum also has a library collection of more than 200,000 books on Chinese art and history. It also has an Archaeological Department, which takes charge of archaeological fieldwork. To date, the department has successfully discovered 27 cultural heritage sites over the past decade. Shanghais most popular temple with visitors, the Jade Buddha complex has an exceedingly short history, having been completed in 1918, but it exudes a powerful potion of thick incense, flashy decorations, and a dark, seedy atmosphere that makes it seem centuries older. The architectural style comes from the Song Dynasty (A.D. 960-1279), when swirling eaves were the style; the brilliant yellow walls are of recent origin. The chief attractions are the painted religious statues, which are stacked high in the three main halls. The Treasure Hall of the Great Hero (Da-xiong-bao-dian) contains golden images of the Buddhas of the past, present, and future, flanked by their 18 followers. 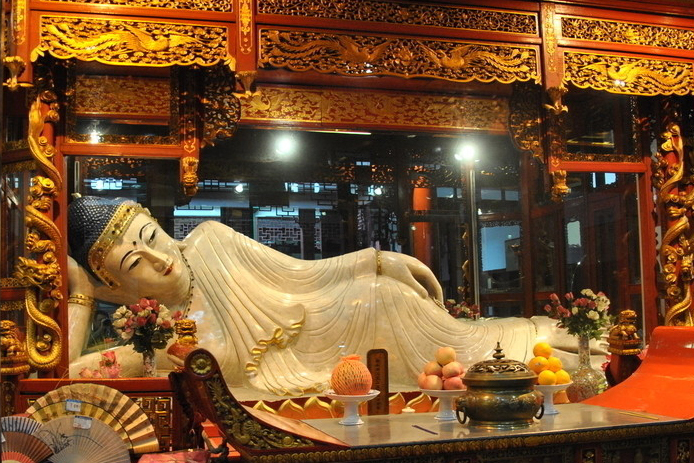 The White Jade Buddha, located up a narrow set of old stairs on the second floor of Wentang Hall, is the true treasure. Carved in Burma and brought to Shanghai in 1881 by Huigeng, a Chinese pilgrim, it is twice life-size (weighing 205kg / 455 lb. and measuring 2m / 6 ft. 7 in. tall in seated position). In another special pavilion there is a Sleeping Buddha, also carved from a single slab of Burmese jade and brought to Shanghai by the same monk Huigen. More than 70 monks hold daily services. The temple runs a vegetarian restaurant whose menu boasts so-called meat dishes made from vegetarian ingredients such as pickled duck, sliced eel and chicken, all made of bean curd and vegetables. Sizzling (Crackling) rice and mushroom soup is strongly recommended. The 468-meter-high Tower, which is the highest in Asia and the third highest trailing 553.33-meter-high Toronto Tower Canada, and 533 meters high TV Tower in Moscow, Russia in the world, was put into construction in 1991 and completed in 1993. On May 1, 1994, the 118-meter-high antenna pole was successfully connected with the Tower body in the first attempt sitting between Nanpu Bridge in the south and Yangpu Bridge in the north of the Huanpu River, the Tower is made up of 11 balls, the lowest of which is 118 meters high and the tallest being 295 meters. There is a revolving teahouse and a scenery-viewing platform, which can accommodate 1,600 people in the tallest ball. 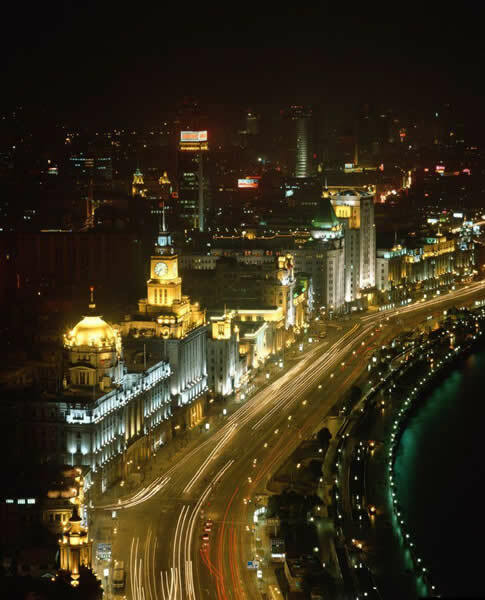 Here visitors can enjoy a panoramic view of the Bund and the Pudong New Area. Three nine-meter-in-diameter cylinders, which are supported by three tilted standings seven-meter-in-diameter with an oblique angle of 60, tower to the sky. 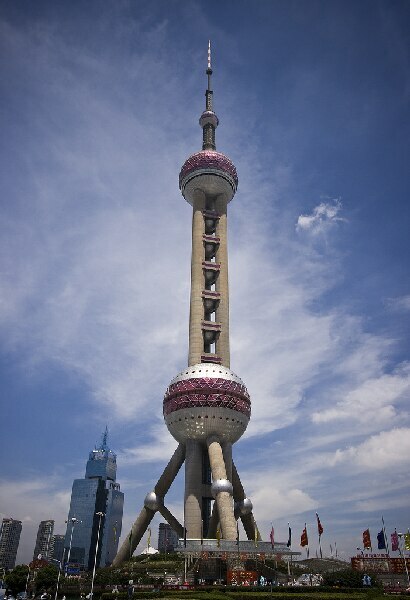 With eleven steel spheres in various sizes inscribed, the body of the Tower creates an admirable image, which is described in an ancient Chinese verse as: Large and small pearls dropping on a plate of jade. The color-changeable luminary system of the Tower consists of 438 emitting lamps, 2 revolving lamps, 2 light belts, 2 projectors, 576 lighting points and other accessory equipments. Automatically controlled by computers, the lamps give the Tower body thousands of changeable colors. The antenna at the top of the tower can be used for multiple purposes of data transfer and telecommunications. It accommodates the transmission of 10 radio frequencies and 9 TV channels. The power covering the whole area of Shanghai, the operation of the Tower largely improves the receiving of radio and TV programs for Shanghai residents. There are 6 elevators in the tower - five installed in the three columns, one between the height of 250 meters and 341 meters. One of the five elevators is double-decked. With a capacity of accommodating 50 persons at a speed of 4 meters per second, it is the only one of its kind in China. Two medium-sized elevators, accommodating 30 persons each and running at a speed of 7 meters per second, cover the distance from the bottom of the Tower to the higher sphere within 40 seconds. The Tower is 120,000 tons in weight, compared with the 7,000 tons of the Eiffel Tower in Paris of France. The steel structure of the lower sphere weights 624 tons, the higher sphere being 873 tons, the space cabin 50 tons and the antenna 450 tons. Nanjing Road in Shanghai, the so-called No.1 shopping street on the Chinese mainland, is being developed over the next 10 years into a world-class commercial destination. About 18 billion yuan (US$2.17 billion) of Shanghai investment will be fed into the ambitious project to build the century-old Nanjing Road into a first-class commercial destination in the next ten years. The remodeling of Nanjing Road has aroused interest from many world-famous enterprises. Executive officers from 28 top multinationals such as AOL Time Warner, Louis Vuitton and Nike, gathered at a two-day Nanjing Road International Forum that started on November 21, 2001 to seek investment opportunities and to share each others experiences. The project will be completed by 2010. The Nanjing Road will be built into a leading world-class commercial destination, like the Champs Elysees in Paris and Fifth Avenue in New York. Mckinsey & Co, one of the worlds largest consulting companies, is participating in the current project to design the streets new image. The company has spent three months investigating such world-famous streets, including Londons Oxford Street and Tokyos Ginza. Based on the success of those streets and an in-depth study on the strengths and insufficiencies of Nanjing Road, Mckinsey presented a plan to divide the street into three sections. The first section, from the Bund to Henan Zhonglu, will be known as Heritage Shanghai. The section is mainly for sightseeing and quality goods shopping. The second section, from Henan Zhonglu to Xizang Zhonglu, will be called as Cosmopolitan Shanghai. The section will house Chinas largest street mall. Apart from dozens of flagship fashion boutiques, an 8,000-square-meter market selling sedans will also be included in this section. The third section, running from Xizang Zhonglu to Chengdu Beilu, will be known as A Taste of Tomorrow. The section will be designed mainly for recreation and entertainment. Of the 18 billion yuan (US$2.17 billion) to be invested, only a small section of the infrastructure is being paid by the government. The rest will be generated from outside investment. Nanjing Road wont be turned into an expensive consumption district like Ginza in Tokyo. It will maintain its character: to serve the people. Situated on the bank of the Dianshanhu Lake on the western outskirts of Shanghai, Zhujiajiao, a canal town (an enchanting place that is often compared to Venice, Italy), is about 50 kilometers away from the city centre. 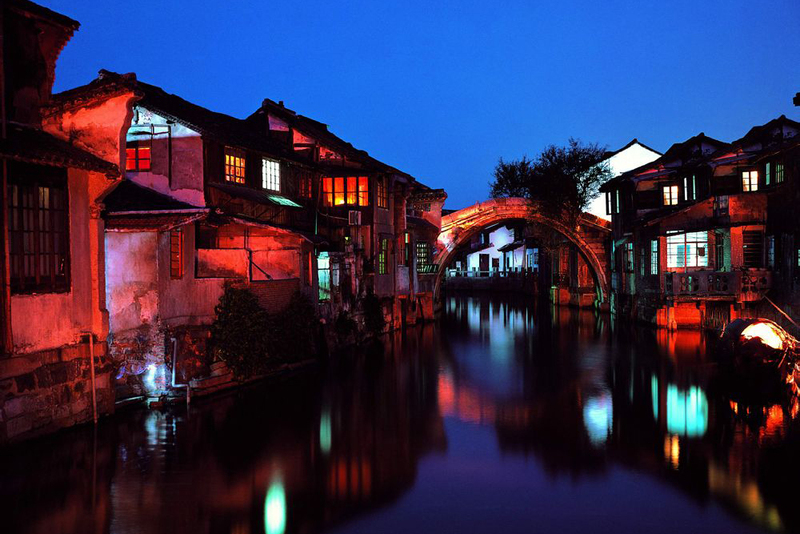 The town features beautiful waterways, arched stone bridges, ancient streets paved with stone, and more than 10,000 houses dating back to Ming (1368-1644) and Qing (1644-1911) dynasties. After visits of participants in the Asia-Pacific Economic Cooperation meetings held in Shanghai in 2001, the town became more famous and frequented. Zhujiajiao was developed into a town in the Ming Dynasty and in its prime time in 1930s, there were over 70 rice stores here and its rice was transported to many parts of the country. Daqing Youju, a post office in the Qing Dynasty, was set up in 1862 and is a proof of the past importance of this small town. Letters written on bamboo and other wood, and early stamps and envelopes will leave people amazed at how fast the postal and information processes have developed. Yuanjin Chanyuan, a temple constructed in 1341, is also worth a visit. Chenghuangmiao (City-God Temple) is a temple where Guanyin (Goddess of Mercy) is still worshipped and is popular for its Taoist faith. Like many other waterside towns in this region, Zhujiajiao has several private gardens, which used to be owned by officials or landlords but have now opened to the public. Another attraction is Kezhi Garden on Great North Street. 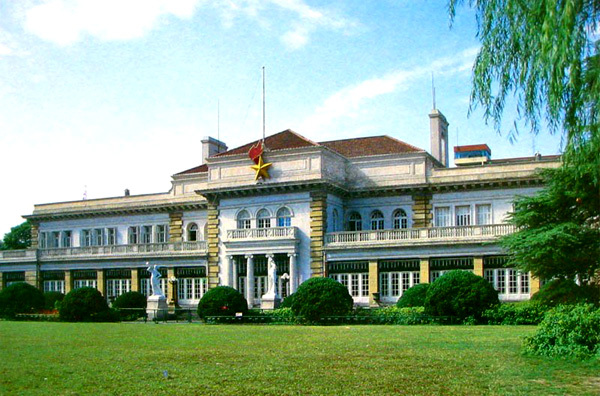 It is one of the largest manor-style private gardens in the vast southern China region. While strolling in the picturesque garden of this mansion, visitors can enjoy a presentation of Suzhou Pingtan, a traditional genre of artistic show, with a pair of performers singing in Suzhou dialect and playing ancient Chinese string instruments. Visitors will be definitely fascinated by this ancient town while marveling at the same time at Shanghais modern life. Shanghai food, named as Ben Bang Cuisine (food of locality) by Shanghainese, is particular about selecting fresh stuff, putting high priority on living livestock and poultry. It has rich varieties, which are different in seasons. The best cuisine of the Shanghai food is the stir-fry slice and saut with starchy sauce. It is particularly good at the cuisine of river food in all seasons. It has splendidly robust soups and spicy delicacies with real succulence and flavor. As an immigration destination in the past decades, what is known as the Shanghai Cuisine actually combines the characteristics of all kinds of local cuisines in the areas south of the Yangtze River. Through years of culinary practice and the assimilation of the art in other styles of cuisines, Shanghai chefs have also created a style of cuisine peculiar to the region. Shanghai dishes are usually characterized by the use of heavy and highly flavored sauce. The use of sugar is another uniqueness found in Shanghainese cuisine and, especially when used proportionally with soy sauce, the taste created is not so much sweet but rather savory. It is said that this is mainly due to the fact that sugar neutralized the sourness found in soy source. Household in Shanghai would consume as much soy source as sugar. 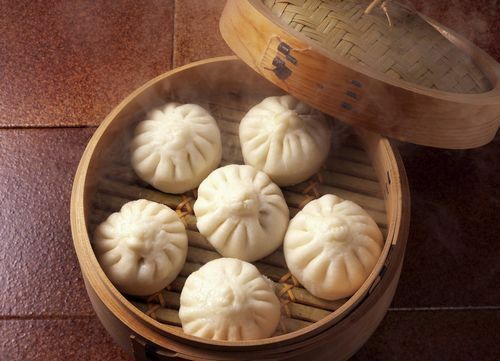 Xiao Long Bao (Small Cage Buns): Unlike the buns in northern China, these buns are very small and easy to swallow. The buns are usually steamed in bamboo-made containers. The skin of the buns is very thin, and the bun is very juicy inside. The dish is now popular and consumed widely throughout China as a Dim Sum. Chou Dou Fu (Smelly Tofu): When first smelled, one would naturally hold their nose, not to mention give it a try and eat a piece. The smelly tofu is a popular local food mainly found on Shanghai streets. The tofu is fermented with many ingredients before fried. Old ladies usually serve them on their little trolley. Despite their odor, most foreigners love it after tasting it. It is dirty cheap too! 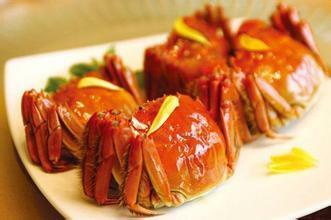 Da Zha Xie (Hairy Crab): Da Zha Xie is a special type of crab found in lakes, and is normally consumed in the winter. The crabs are tied with ropes or strings, placed in bamboo containers, steamed and served. There is little artificial ingredient added to the dish yet it tastes fantastically good. Da Zha Xie is usually consumed with vinegar. Locals are also quite fussy about when to consume male crabs and when to consume female crabs. Shanghai is hailed as the Shopping Paradise and Oriental Paris. So if you come to Shanghai, shopping should not be missed any more than its other charming attractions. Providing the very best of shopping has become an indispensable part of Shanghais tourism industry. Shopping areas in Shanghai are clearly divided into Four Streets and Four Cities. Nanjing Road, one of the four streets, enjoys the reputation of No.1 Commercial Street in China. Developed from the beginning of the 20th century, Nanjing Road has clusters of a wide variety of shops from those that are centuries old, to special ones and modern malls. In these modern times, Nanjing Road is not out done by its numerous competitors but becomes more and more prosperous. Huaihai Road, no less famous than Nanjing Road, is celebrated for its elegance. It features top-end designer brands from all over the world. North Sichuan Road offers good inexpensive merchandise and is always the first choice of ordinary people. Food and tourism are well provided for on Middle Tibet Road, one of the Four Streets. Yuyuan Shopping City, Xujiahui Shopping City, New Shanghai Shopping City and Jiali Sleepless City are the bustling Four Cities in Shanghai. Yuyuan Shopping City is the venue for specialist Chinese goods ranging from small articles, local crafts and the like to antiques, jade wares and gold and silver jewelry. The newly-established shopping and entertainment plaza, Xujiahui consists of large stores where you can obtain both costly and middle-range priced goods in abundance. 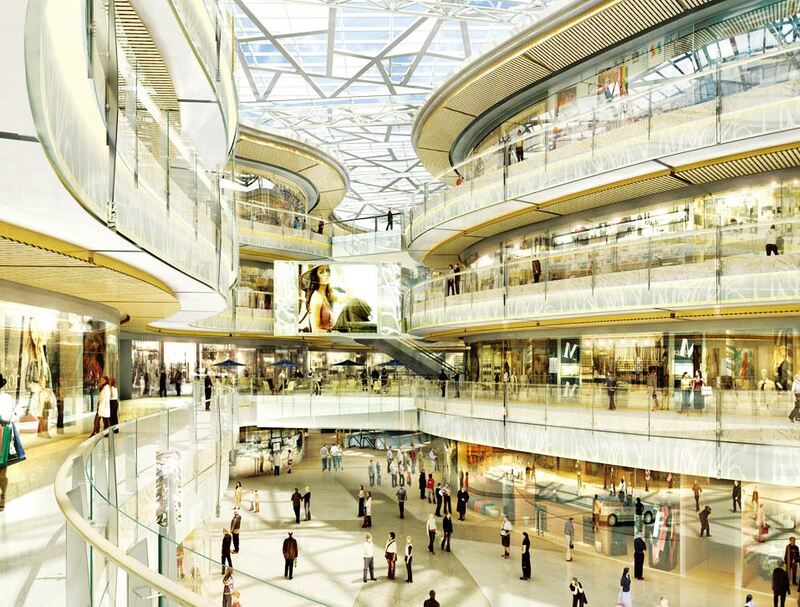 New Shanghai Shopping City is on the grand scale and offers the best facilities and amenities. Located in the middle of Pudong Lujiazui Finance and Trade Zone, it is surrounded by a variety of retail outlets. Like a bright pearl on the landscape, Jiali Sleepless City facing Shanghai Railway Station, and on the Subway line 1, is a bustling commercial area. Besides the famous Four Streets and Four Cities, some other streets and roads are worthy of a visit. If you just intend to buy small articles and inexpensive clothes, Hong Kong Famous Shops Street and Dimei Shopping Center beneath Peoples Square and Xiangyang Road Market will whet your appetite. In Dimei Shopping Center, clothes are competitively priced and fashionable, but you will seldom find the top brands here. With the alternation of four seasons the small shops here, sell clothes in vogue which cater for the needs of young people. You can bargain at ease. Xiangyang Road Market. This famous market used to be on the former Huating Road Clothes Street, which was the most renowned clothes street in Shanghai before relocating to its present place. Since 1980s, a number of the shops selling clothes and small ornaments led Shanghais fashion trend. Foreigners carrying large travel bags once formed the scene on the street. In November, 2000, the former clothes shops on Huating Road were moved to Xiangyang Road Market. A notable feature here is the fact that you can find expensive goods at very low prices! But be warned that so-called brand names are often fakes but with care you can find items of a reasonable quality.